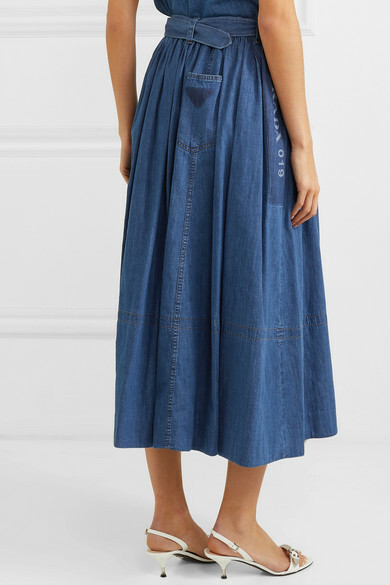 Prada's skirt is such a versatile, elegant piece for summer - you could wear it with the matching shirt, or tuck in a T-shirt and cinch with the wide waist belt. 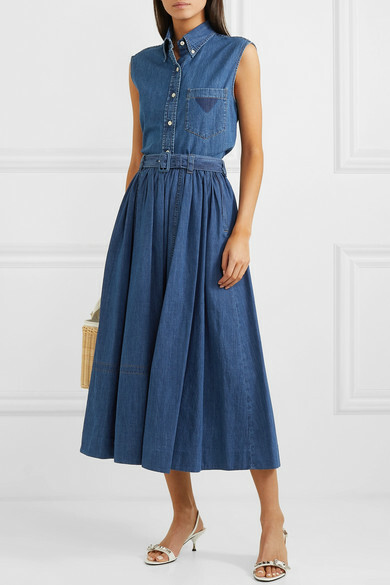 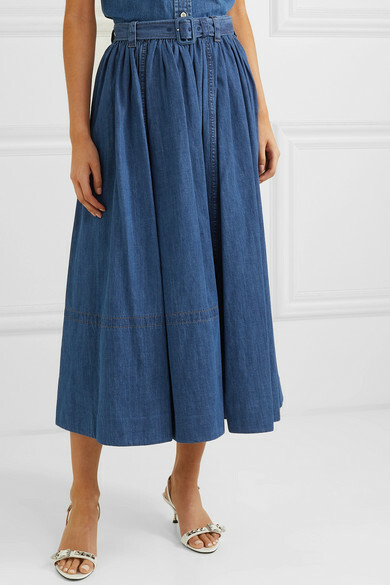 It's cut from lightweight denim in a deep indigo wash and falls to a flattering midi hem, which will complement ballet flats and pumps alike. 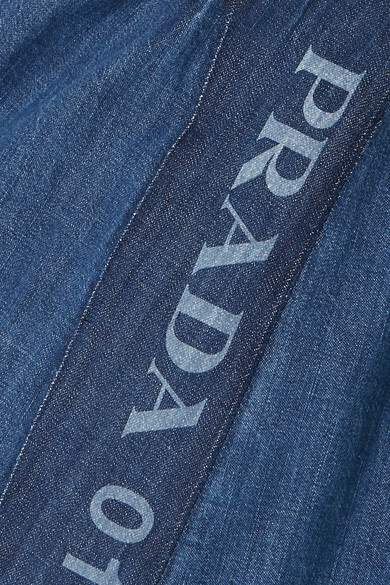 It's discreetly printed with the brand's logo along the side and has a single pocket at the back within the folds of the fabric.